Custom made taylor dress hundreds of color, clear and speciality swarovski crystals. Looks amazing on stage. 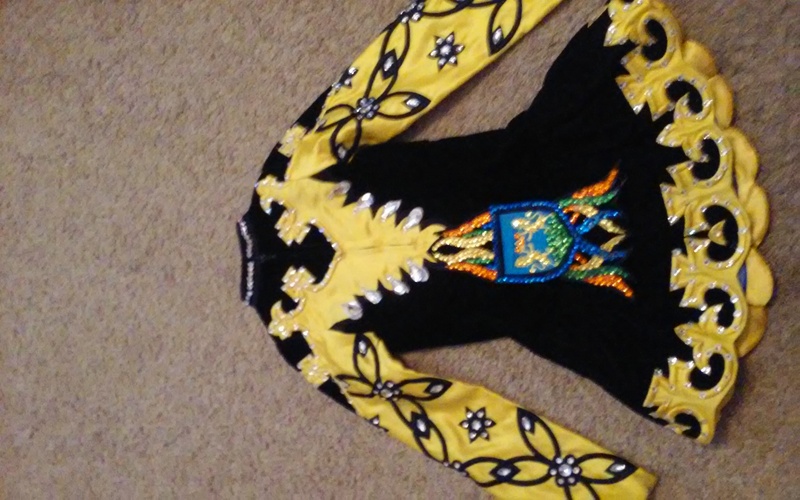 Has been worn at worlds and nationals. 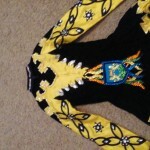 There is let out room in the bodice and also in the skirt. Comes with custom made swarovski crystal earrings. Also kick pants. The back crest will come off and colored stones will be applied before we ship. Dancer out grew and so sad to let it go. Dress is only 1 1/2 years old. Comes from a smoke free home. 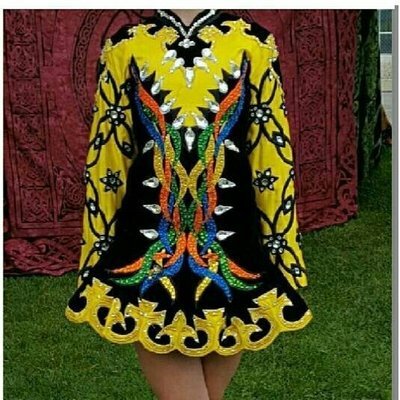 Please contact me at triqueen97@gmail.com if you are interested in the dress. Asking Price: $800.00 U.S or best offer. Shipping costs are included for my own country, overseas shipping is extra. Sale is final.